THANK YOU TO ALL THE WONDERFUL BALBOA ISLAND RESIDENTS WHO HAVE DONATED AN AMAZING AMOUNT OF TIME, ENERGY and MONEY TO HELP EDUCATE EVERYONE ON THE UNDERGROUND UTILITY ISSUE. Most of us were on the “yes” side the first time around until we started really studying the SCE website, the cases of death and injury from underground explosions and the downsides related to our water table. 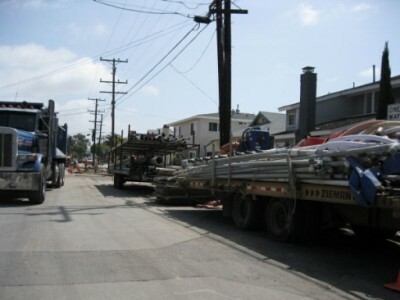 It has been pointed out by several utility people—who in order to keep their jobs, need to remain anonymous—that Balboa Island is the perfect example of a place that needs above ground utilities. They stop in at my office to talk because of my “NO” signs. They thank me. They tell me how important it is for the safety of the workers, because of rising water and flooding issues and because it is a technology which is going to change—and soon!!! We could take this $20,000,000 and put it toward something that is a real threat to our existence—rising waters. My son lives in North Carolina. His friends by the beach are losing their beach houses one street at a time and there is nothing they can do about it . Once it is gone it is gone—insurance doesn’t cover their losses. We could take the $20,000,000—the energy of all of us together—the help of our local government—and do something about making our seawall a little taller and our Island a little safer from the inevitable rising waters. Now, that is not aesthetic!!!! This fine art show features artists exhibiting paintings, fine jewelry, blown glass, sculpture, and photography. Spectators will enjoy live music throughout the day on four stages along the walk. Performing musicians include the Retros, Don Ross Duo, Rick Sherman and Alan Remington, Jim Roberts, and Garry Gould, Limited-edition Artwalk posters and t-shirts will be available for purchase at Sapphire & South Bayfront.. If you would like a safety issue—think about this. The light poles in the alleys will all be coming down and as of now we have only 25 residents who have allowed an easement on their property to provide new light poles in our dark alleys at night. 25 light poles for 39 blocks—not including the Bayfronts. Everyone get ready to invest in motion sensors on the back of your property. 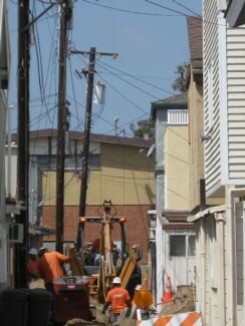 My alley is already lit that way—but that is what will have to happen to keep our alleys safe and secure!!! Now there is a REAL safety issue!! Here is the current SCE policy with poles, which you can quote in one of your flyers to rebut the point that the poles are falling down . .
For Overhead (poles) once year patrol. Overhead detail inspection once every five years. For Underground equipment every 3 years. If you have questions or need further assistance, please contact us by e-mail at ww.sce.com or call our Customer Communication Center at 1.800.655.4555 which is available 24 hours a day, seven days a week for your convenience. I do have a suggestion for those “brave” anonymous souls who have been calling people on both sides of the issue and leaving horrible messages. (Watch out what you wish for—it could be YOUR house that burns down!) At least have the decency to stand up for what you believe in—in your own name. Not just a angry voice on the phone, fax or letter. The people on Jerry Springer are more grown up than you!!! I don’t care if you are a yes or a no—just stand up—say who you are—state your opinion—and take the flack—or don’t say anything at all. Don’t forget to be courteous of your friends and neighbors as you walk the alleys, shop, browse, visit with neighbors and have fun. PLEASE don’t park in the red zones, block other people’s garages, etc. 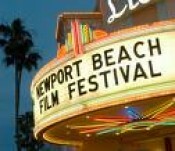 WE ARE ON PROBATION with the NEWPORT BEACH POLICE DEPARTMENT. Let’s make this the best Garage Sale ever!!! We are all looking for the best bargains with the economic situation!! Don’t forget—FREE STARBUCKS COFFEE and maps of where everything is at 118 Agate Avenue—In the Alley. In addition to Michael Ramirez’s cartoons appearing daily in Investor’s Business Daily and in color at IBDeditorials.com/cartoons, he is also nationally syndicated in over 450 newspapers and magazines such as The New York Times, the New York Post, The Washington Post, Time Magazine, US News and World Report. He has been on CNN, CNN International, BBC Television, and BBC Radio and is a highly acclaimed international speaker. Your check payable to NHRW for $26.00 per person must be received by April 20, 2009. Please mail checks to Sue Bennitt, 901 Cercis Place, Newport Beach, CA 92660 Questions?? Call Sue @ 949-644-0539. ANDIAMO HAS MOVED . . . .
After 22 years on Marine Avenue Vic Simmers has moved Andiamo Hair to a wonderful new location in the Jubilee Plaza building also on Marine Avenue. So don’t think he has disappeared - he has just moved up the block and across the street!! Vic has been taking care of Balboa Island residents and is rewarding us all with a get “5 hair cuts, get one free” offer. See Vic and all the bunch at 307 Marine Avenue 949.673.4013. A friend of mine recently called Arrowhead Water and asked about the Fluoride levels. She was shocked to find out their water has between .05 and 1.3 milligrams per liter. Considering we live in a warm climate that claims .7 mg/l is the optimal level for us Californians, we are all probably getting too much. What a bummer. Now she realizes that her Arrowhead water bill of between $60 and $80 monthly (she also uses it for cooking) is probably better spent toward a reverse osmosis system under the sink.